I have always wanted this “I love Boobies” t-shirt that an organization gave away at my university. But they went like hot cakes and I could never get my hands on one. This year, I tried to find a nice tee online, but came upon other “I Love Boobies” merchandise. 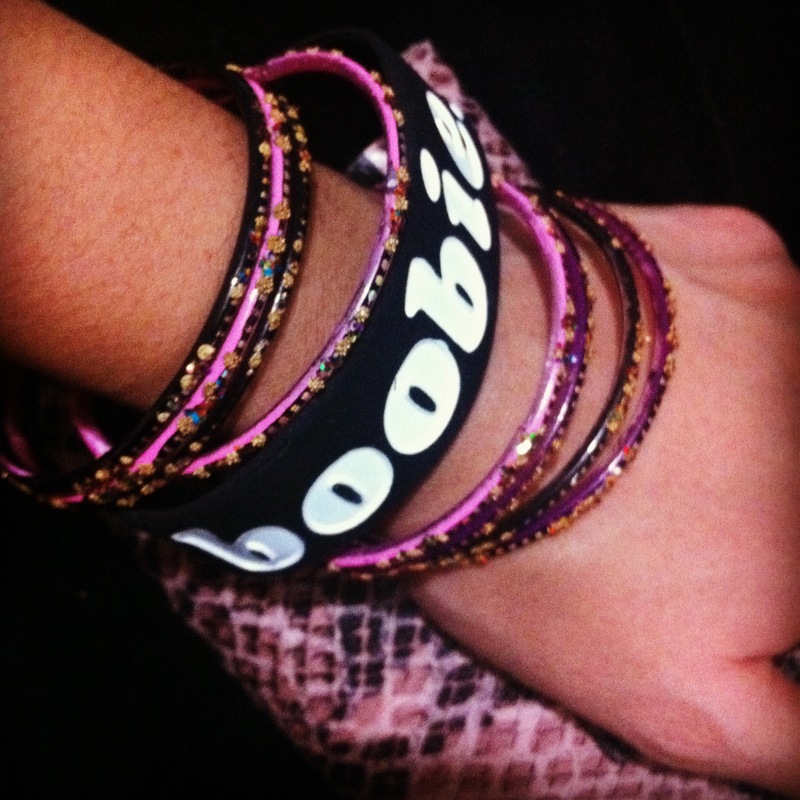 The item that immediately caught my eye was an armband/bracelet that said “I ♥ Boobies.” Being an arm candy kind of girl—I just had to have it!!! I placed the order and surprisingly, received the bracelets quickly (unlike my other eBay orders…I was happy to receive it in 3 days so that I can sport them for the remainder of Breast Cancer Awareness month). With it being the weekend and date night with my boyfriend yesterday, I styled my LBD with some PINK nails and added other cute bracelets to my newly favorite, “I Love Boobies” bracelet. I love the combination so much, I just had to share! Hope you like the look! I kept it simple and added a bunch of black, pink, and purple bracelets that my friend gifted me from Pakistan. 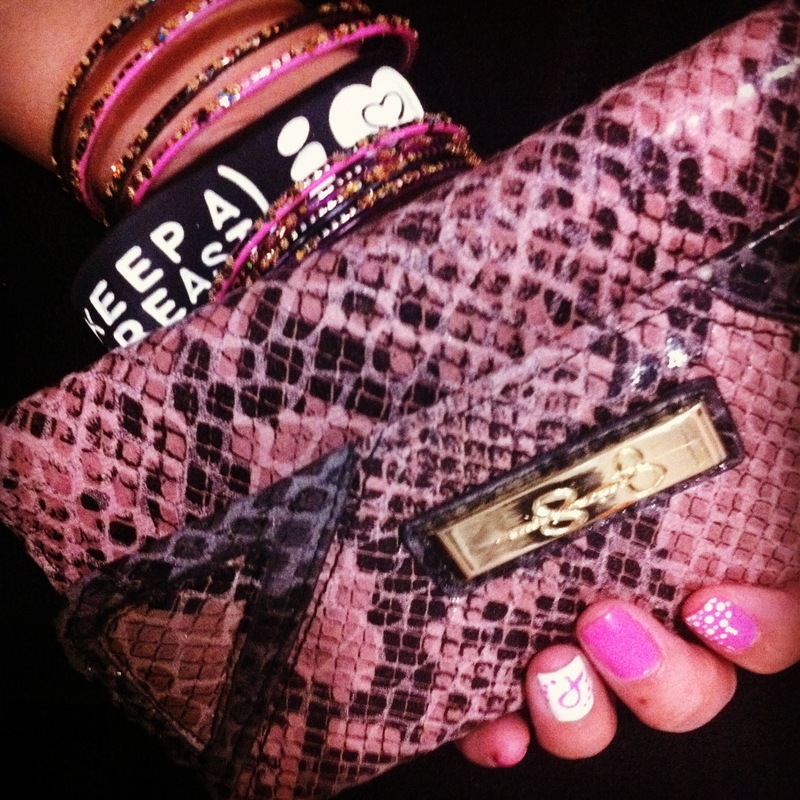 Pink & black python Jessica Simpson wallet—it’s a little bit bigger than a normal size wallet so I usually use this as a clutch. Another nail art I did with the ribbon and brighter hot pink! 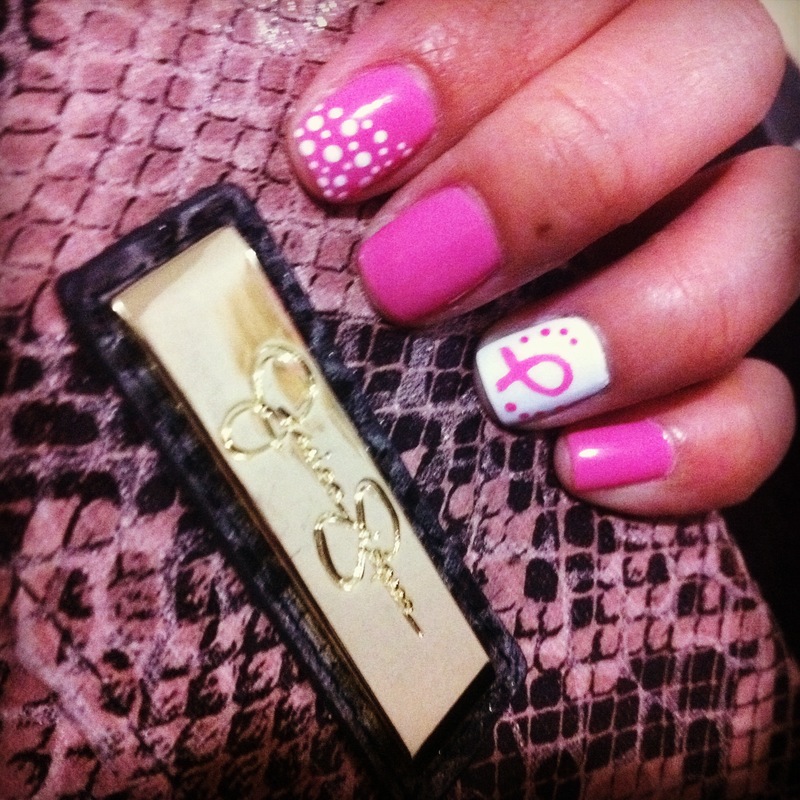 Check out my previous breast cancer ribbon nail art HERE. 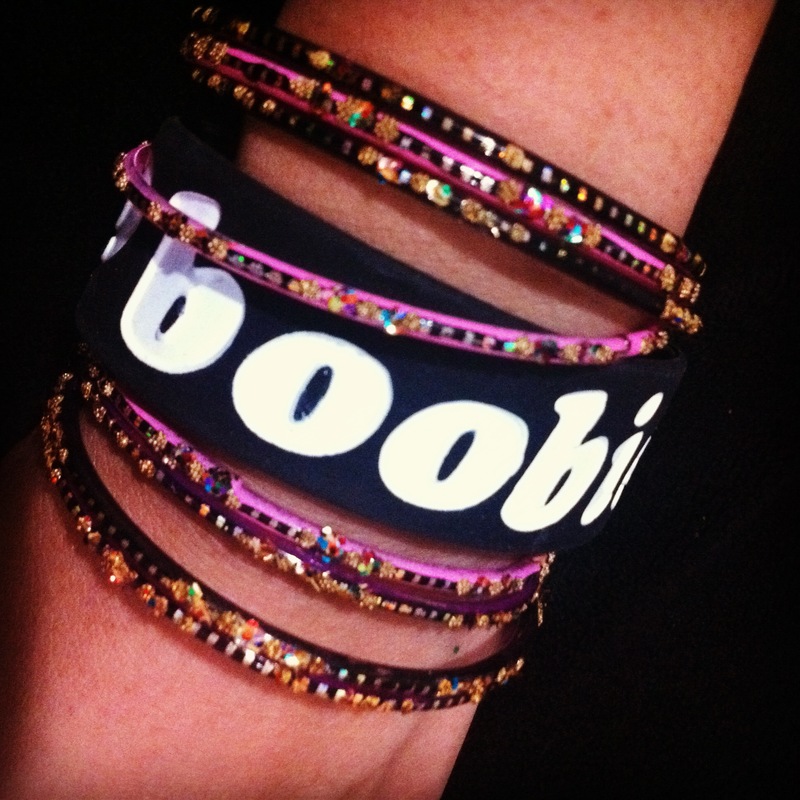 If you are loving this look, click HERE to buy the “I Love Boobies” bracelet/band. It comes in all sorts of colors. I bought pink, black, and white! 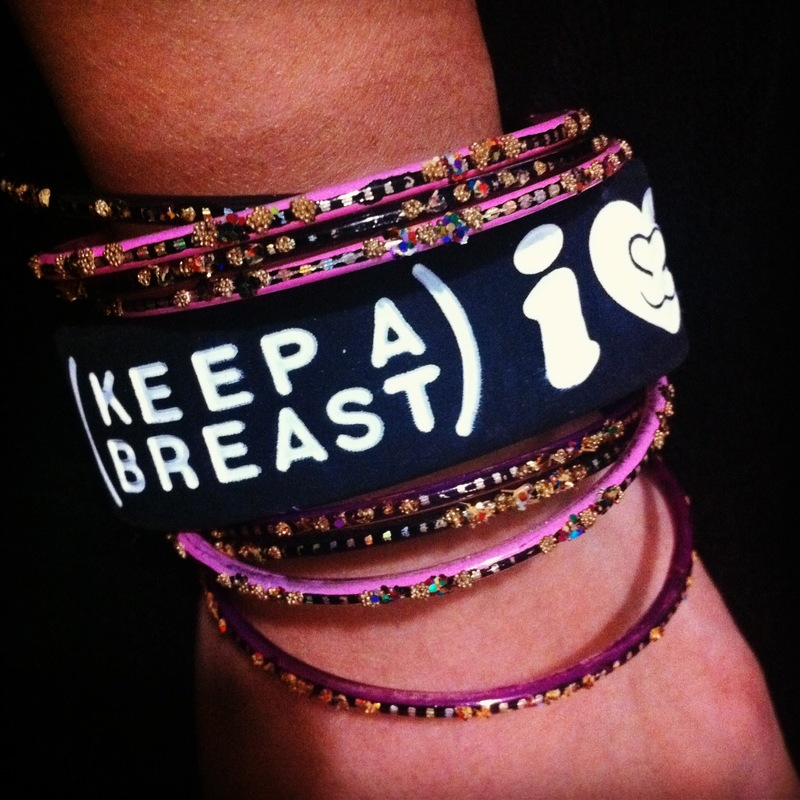 Plan to wear them throughout the month—after all, it’s super stylish and for a great cause!